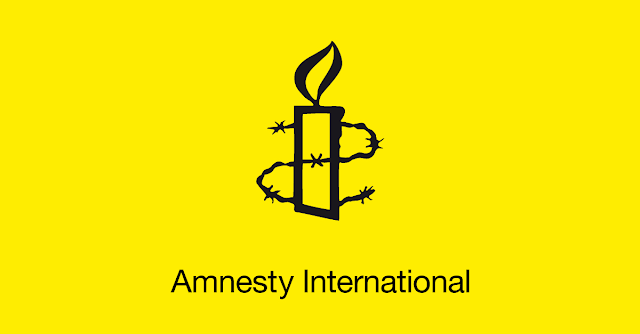 Human rights body Amnesty International now says that the US Africa Command is lying about their airstrikes in Somalia. Reporting that the airstrikes have tripled since President Trump took power, Amnesty provides evidence that 14 civilians have since died. 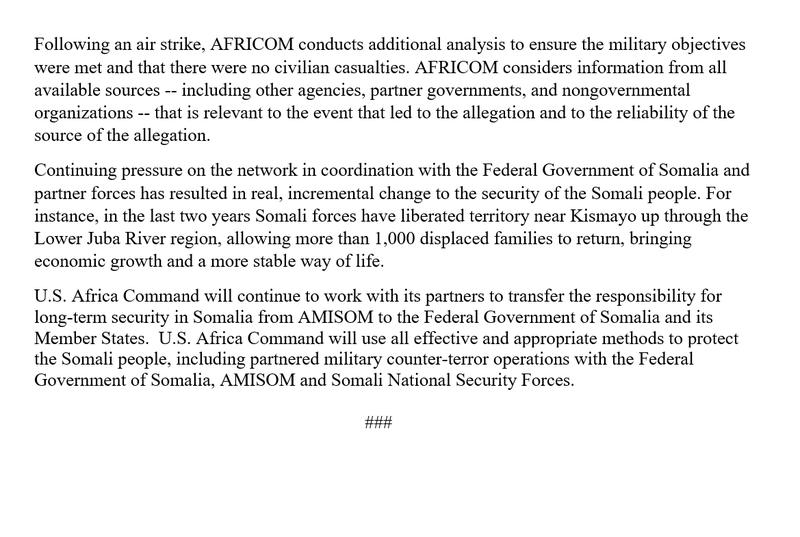 US strikes in Somalia have tripled under Trump. 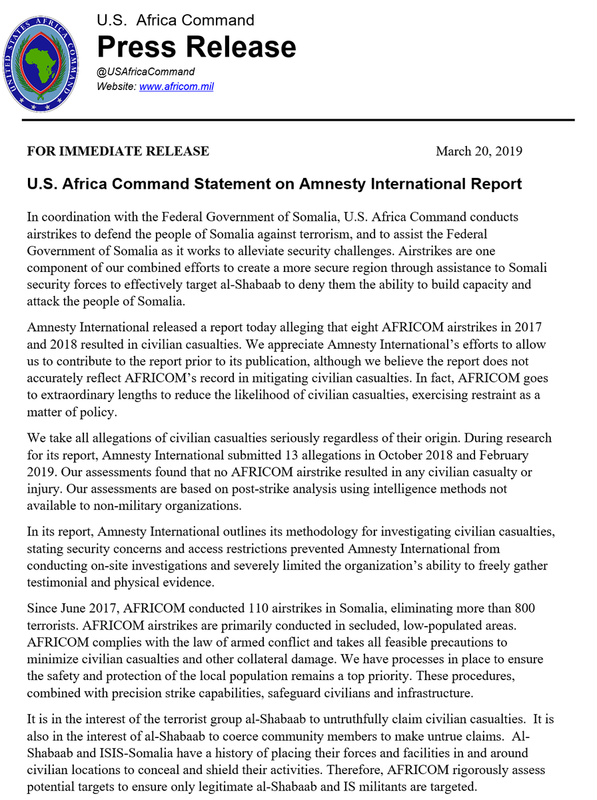 But the US Africa Command says it has killed zero civilians. We went to Somalia & analyzed the evidence.